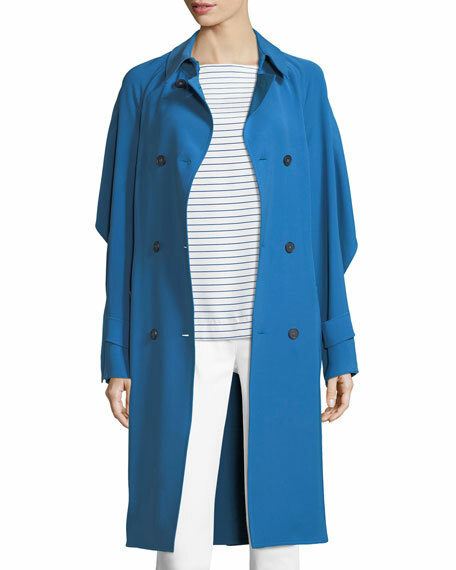 St. John Collection drapey twill trench coat. 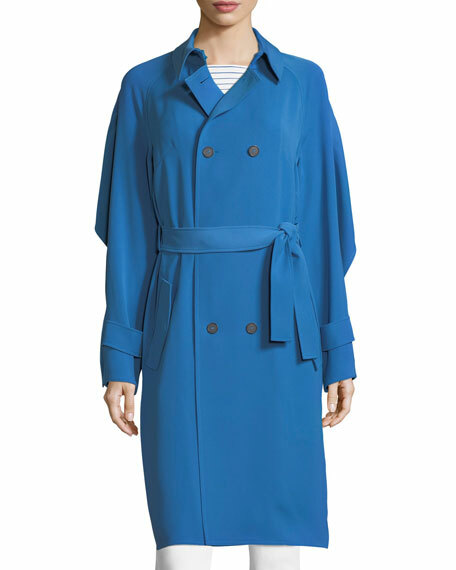 Spread collar; double-breasted button front. 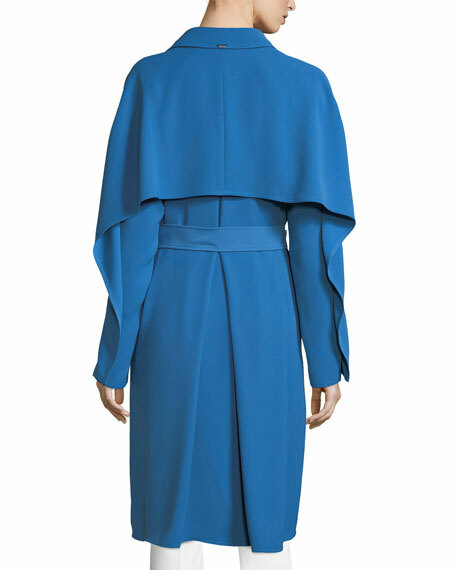 Rain shield drapes from sleeve to sleeve. For in-store inquiries, use sku #2319961.